Welcome to the official website of Grandmaster Andy Ah Po and Tang Soo Do Martial Way Association, Inc.
Grandmaster Andy Ah Po is originally a native of the Hawaiian Islands where he began his martial arts training early in his youth. 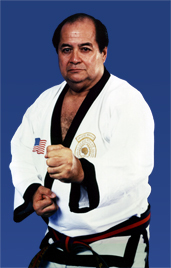 Prior to leaving the Islands in 1959, he studied Kung Fu, Jiu Jitsu, Aikido and Japanese Karate. The year 2019 marks Grandmaster Ah Po's 72nd year in the martial arts. He began studying Tang Soo Do in 1959 and 2019 marks Grandmaster Ah Po's 60th year as a Tang Soo Do practitioner. 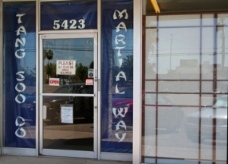 He opened his own martial arts studio in Carmichael, California in 1966 and continues to teach at his current studio in Sacramento. The Tang Soo Do Martial Way Association, Inc. (formerly known as the Tang Soo Do Moo Do Kwan Assoc., Inc.) which was formed in 2002 is a private, "for-profit" corporation that is incorporated under the laws of the State of California. The corporate office is presently located in Sacramento, California. The principal shareholder of the corporation is Grandmaster Andy Ah Po.